NCTM recently released the document Catalyzing Change in High School Mathematics for public review and feedback. The purpose of the document is “to identify and address some of the challenges to making high school mathematics and statistics work for each and every student”. You can find the document and give feedback on the NCTM site here. This post is adapted from my feedback. I just finished reading Catalyzing Change in High School Mathematics, and I’d like to offer feedback. I love the content of the document. Your choice of what to include — the purpose of school mathematics, tracking, equitable instruction, essential concepts for focus, and pathways through high school math — paints a broad and compelling vision of what an effective high school mathematics program should look like. A chapter devoted specifically to tracking is an incredibly important message. Eliminating tracking, both of students and teachers, is the most important change that could happen in high school math. Dodging this question in such a document would be a shame, and Catalyzing Change takes it on admirably, presenting a research-informed argument for eliminating tracking while also distinguishing tracking from acceleration. I love that Catalyzing Change is not trying to be a standards document. Each essential concept for focus begins with a narrative explaining its place in the broader curriculum, the relevance of those topics to students’ mathematics experiences, and the habits of mind students should exercise through those concepts, including the intersections with proof and modeling. Where the list of topics above would be insufficient to guide a high school math program and a standards document is likely to get lost in the weeds, this paper balances the two. It offers a manageable number of topics, names 2-6 big ideas that should guide each topic, and makes clear how the topics are connected to students’ broader mathematics progression. Any math educator who reads the essential concepts will come away with a deeper understanding of the essential ideas in high school mathematics. I think the increased flexibility of 2 1/2 years of common experiences before the possibility of multiple pathways will be great for students. Whether they go on to calculus, statistics, discrete math, modeling, or other courses, this plan will create a trajectory that minimizes the race to calculus and creates opportunities for more students to feel engaged and connected to their math courses, while also ensuring every student engages with essential core content. Finally, I love the focus on equity. A chapter on creating equitable structures and a chapter on implementing equitable instruction zoom in specifically on what equity looks like in high school mathematics. At the same time, equity is not sidelined to its own chapter; it is also evident throughout the document in language that constantly asks how the guidance in Catalyzing Change supports positive experiences and outcomes for all students. While I think the core content of this document is important and necessary for high school math programs, I worry that it will not have the intended impact. The front matter is vague and avoids making the goals of the document explicit, with statements of purpose like, “Creating equitable structures in mathematics–confronting the impact of student and teacher tracking and support systems”. The end tries to appeal to too many different groups, with separate recommendations for teachers, district and building leaders, K-8 teachers and leaders, policymakers, curriculum developers, and mathematics educators. There are four key recommendations at the end of the document, but it is easy to lose the forest for the trees and miss essential ideas in Catalyzing Change because there is no single place where it makes a compelling case for what high school mathematics should look like. The document as a whole feels a bit like it is trying to appease too many groups at once, like there are competing ideas vying for attention instead of a coherent message. I don’t get this sense on a page-by-page level; instead, I get this sense because after reading I wasn’t sure how I would capture the essence of Catalyzing Change in an elevator speech. Compare this with Principles to Actions — a similarly detailed, research-based document — which derived much of its success from the concise guiding principles and eight mathematical teaching practices. Catalyzing Change will be read by many, but more of the audience will learn about it by word of mouth, summaries, and excerpts. What is the positive, ambitious vision that NCTM has for high school mathematics? 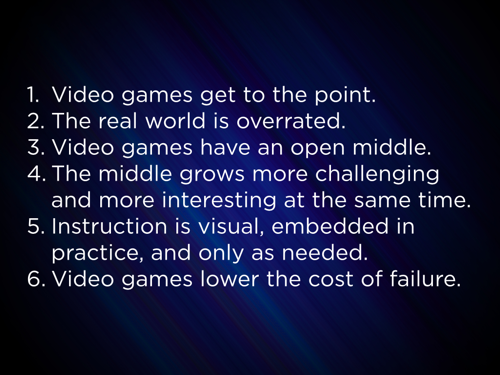 What is it that mathematics educations should do to realize this vision? And how can this be communicated clearly and effectively to the broadest audience possible? Emphasize the multiple purposes of school mathematics: expanding professional opportunities for all students, using math as a lens to understand and critique the world, and experiencing the wonder, joy, and beauty of the discipline of mathematics. Eliminate student and teacher tracking systems that perpetuate inequitable experiences for students in qualitatively different, dead-end pathways, and work to provide common experiences and necessary supports so that all students engage with essential mathematical concepts. Implement equitable instruction that promotes effective mathematics teaching practices with attention to how those practices foster positive mathematics identity and create opportunity for all students. Focus on essential concepts in algebra, functions, statistics, probability, and geometry that will best prepare students for higher education and the workforce while engaging with big ideas of high school mathematics. Develop an equitable and common 2 1/2 year pathway for all students that includes the five essential concepts and allows for student choice in a final 1 1/2 years of study that best suits their individual goals. These are welcome suggestions for many in math education, but they are also radical in the sense that they recommend a serious departure from math programs in the vast majority of high schools. A radical set of recommendations deserves a prominent place in the document that is easily shared and easy to remember. I am an early career teacher, and I hope to be in this profession for several decades to come. I know that change will not happen quickly, but I hope that this is the start of a transition that I will get to see through in my time in the classroom. I hope that this document is able to catalyze that change. Thank you for your hard work, and I look forward to reading the final version. This entry was posted in NCTM, Uncategorized on October 1, 2017 by dkane47. Robert’s tasks are great, and I’ve taught a bunch of them. I didn’t come to learn that his site is full of great problems, and that there are plenty more out there. I wanted to see him facilitate a task, and see what one of his problem based lessons looks like in action. What questions do you have? Robert did a great job of validating different questions that folks asked, even the silly ones, but focusing the conversation on the mathematical question he was looking for — how much is that going to cost? Robert asked for guesses. This is where my favorite moment happened. The first guess was $800. A few people in the audience chuckled, I guess because that seemed too high. 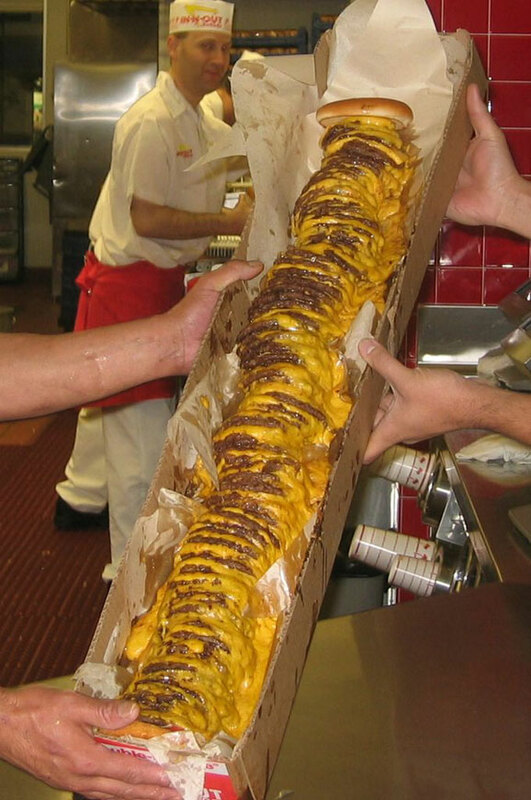 The woman immediately shouted out “Because I figure one burger is about $8.” Robert stopped the task, and made what I thought was the most important point of the lesson. These lessons require students to take risks and try something new. If you don’t have the classroom management to make it a safe space for students to take risks and share, this cannot be successful. I know I’ve made plenty of absurd mathematical mistakes like that one. And I’ve definitely chuckled at someone else doing the same. But we are adults, and we are secure on our mathematical abilities — those are the moments that stick with kids as they determine their mathematical mindset. It’s hard to build that culture and it doesn’t happen accidentally, but it’s incredibly important, and I was impressed that Robert had the sand to call some people out (anonymously) during his talk. Anyway, Robert kept facilitating guesses. He asked if there were any guesses higher than $800, then asked for low guesses, and continued asking if anyone had a lower guess. It got as far down as $30. Robert’s response was “Congratulations, you’re right, the answer is between 30 and 800.” I’m going to steal that line verbatim in the future. 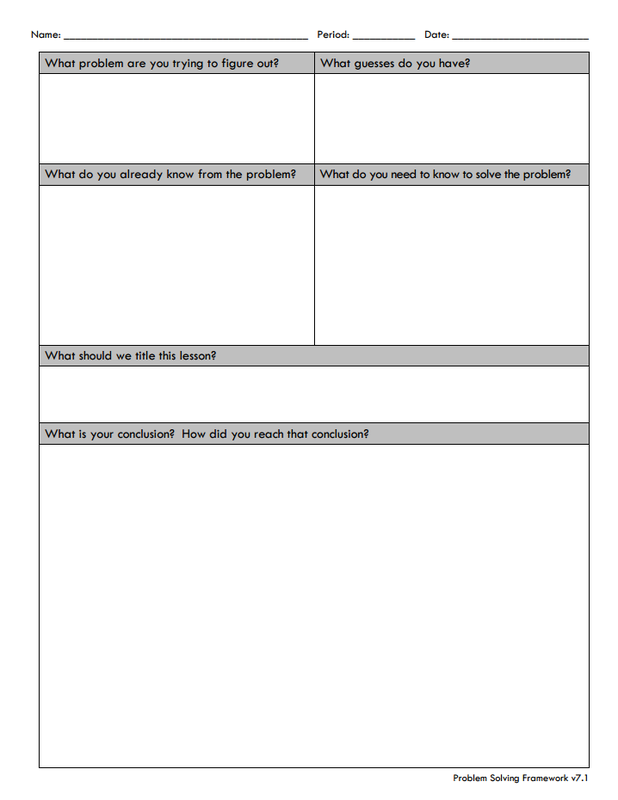 I love this as a simple way to create an upper and lower bound — asking students to make “too high” and “too low” estimates is useful on an individual level, but when haring them with the whole class, there are always a few that are incredibly high or incredibly low — we might end up with a range from 5 – 10,000 because students are unsure. This method created a meaningful error bound quickly and with strong engagement. Then, Robert asked what we need to know. He did a great job of giving the group individual think time before discussion. Then he took information from the audience, acknowledging it, but also being clear that some pieces of information — for instance, tax — addressed standards he didn’t want to bring in, and he would table it to focus on the mathematics he wa going for. I love this because it is simple, reusable, and scaffolds important features — knowing exactly what the task is, estimating, and identifying given information — without giving anything else away. and then gave us plenty of time to calculate. 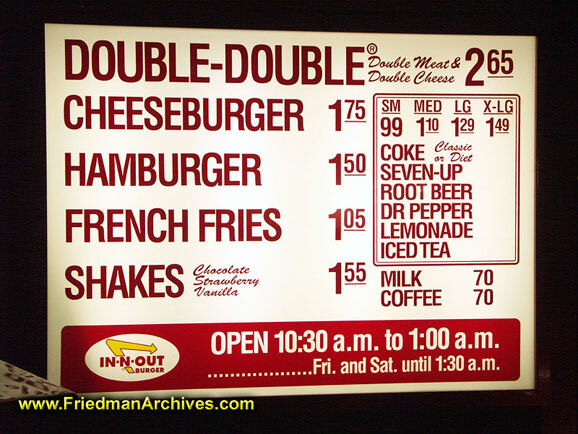 The answer is pretty fun, and he followed it up with a sequel — how can you find the cost of a burger with n patties and n slices of cheese. This is where my teaching usually trails off — I’m helping students struggling with the initial task, and students who found the answer dive into the sequel, after a little while I reveal the answer, and that’s it. Instead, Robert walked around the room finding as many different equations as he could, and wrote them on chart paper up front. He brought in the SMPs, in particular SMP.2 Reason Abstractly and Quantitatively, and the key words to contextualize and decontextualize. We then went through all four equations he found, and we named what each part of each equation meant in this situation. I thought that it was a great follow up to a great lesson — giving everyone meaningful math to work on, and then wrapping it up by pushing the whole room to engage with the highest level of abstraction in a scaffolded way. I really enjoyed this session — I came away with a number of concrete “teacher moves” that will make my next problem based lesson way better. And I got to do some pretty fun math. If you haven’t checked out Robert’s stuff, his lessons are here, and his NCTM page with slides and other links is here. This entry was posted in NCTM on April 20, 2015 by dkane47. Those are from teachers. Teachers who teach math! Does that scare you? It scares me. And it scare me more that I know there are students who feel that way in my classroom every day. Every speaker at Shadow Con ended their talk with a call to action — a concrete way for attendees to follow up on the experience and bring them to their schools and classrooms. Tracy’s call to action is simple, and takes her ideas a step further. There were probably 350 people in the room at Shadow Con. 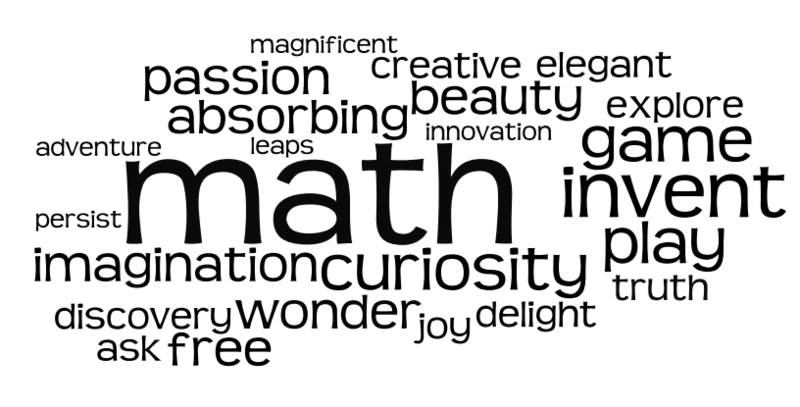 She challenged each of us to take the words that mathematician use to describe their experience with math, and to share it with our colleagues — including everyone, not just the teachers who will be most amenable to it. Then, take a favorite word from the wordle, and make that word central to one lesson that we plan in the coming weeks. After we teach the lesson, share with our colleagues what that lesson was like, and where we can go next. I think her challenge is incredibly important, and captures the spirit of Shadow Con — transcending the typical constraints of a talk at a conference that reaches the teachers in the room but no further. As I thought about it, I have one reservation that I want to be careful about as I move forward. This is an article by writer and cognitive scientist Daniel Willingham called “Inflexible Knowledge: The First Step to Expertise”. He makes several points that I think are critical to implementing Tracy’s call to action effectively. 1. Inflexible knowledge — knowledge connected to concrete examples, that students struggle to apply in new contexts — is the natural first step of learning. It is different than rote knowledge, which is memorized but meaningless, but less applicable than the deep knowledge we want our students to gain. Inflexible knowledge is not bad — it is the natural foundation for deeper learning. 2. When students only have inflexible knowledge, they struggle with abstraction. Students fail to apply the knowledge they have in new situations, or situations that are different on the surface than the examples they have seen, even if they have the same underlying structure. This is normal. However, all of the things we are asking students to do — be creative, take leaps, wonder, play, innovate — they are unlikely to be possible if students only have inflexible knowledge of the content. 3. Willingham distinguishes between novices and experts in that novices are not the same as experts just a bit worse. Novices think about a topic completely differently than experts do — they lack the depth of knowledge and connections between ideas in the discipline that experts have. They think in concrete terms, noticing surface features and using a great deal of working memory to solve problems. On the other hand, experts rely on a great deal of deep knowledge to analyze problems quickly, make connections between other situations they have seen, and identify relevant similarities and differences. This is the heart of the creative, elegant work that we want of our young mathematicians. Willingham’s research intimidates me, and on the surface it seems to make Tracy’s call to action impossible. How can we expect to treat students like real mathematicians if they think in a fundamentally different way about mathematics? I have three takeaways from synthesizing Tracy’s talk and Willingham’s ideas. and noticing and wondering about it doesn’t require mathematical knowledge — students can be curious about what happened with their knowledge of the world around them, where they are the experts. This is the first place where students can act like mathematicians, where it motivates the mathematics that we want them to learn. Second, there is not a dichotomy between novice mathematicians and expert mathematicians. Instead, students work toward expertise in each of the domains they study. If we only give students a brief, surface-level tour of mathematical topics, they will never develop the depth of knowledge required to truly think mathematically. If, instead, we follow the spirit of the Common Core — to dive deeply into worthwhile mathematics, build students’ knowledge with a wide variety of rich problems, and ask them challenging abstract question as they gain expertise, they will both understand math more deeply and be able to practice math like mathematician. has a great deal of mathematical reasoning, has a low floor of entry, provide opportunities for justification and argument, has incredible depth as students play, and allows students to experience the practice of mathematics without the roadblocks of difficult content. I know I fall into traps in my classroom because of my love of mathematics — giving students a difficult problem too early, encouraging them to be problem solvers, make connections, and persevere if they get stuck — and they get frustrated because they are not ready. I think Tracy’s call to action is absolutely critical to building in students the mathematical knowledge we all want for them — but it is most important for the 20% of my students who struggle with math the most. Many of my students play naturally with mathematics — because they are the sense-makers and the perpetual experts. It is the students who don’t have that knowledge that I most need to reach with Tracy’s call, and I need to do that by providing them with tasks that allow them to truly have the curious, imaginative, adventurous and joyful experiences that all math students and teachers should have. And I need to provide these tasks at times when they have the knowledge to access them, to wonder about them, and to answer the questions they ask — to create a loop of positive feedback that leads to more positive experiences with mathematics. 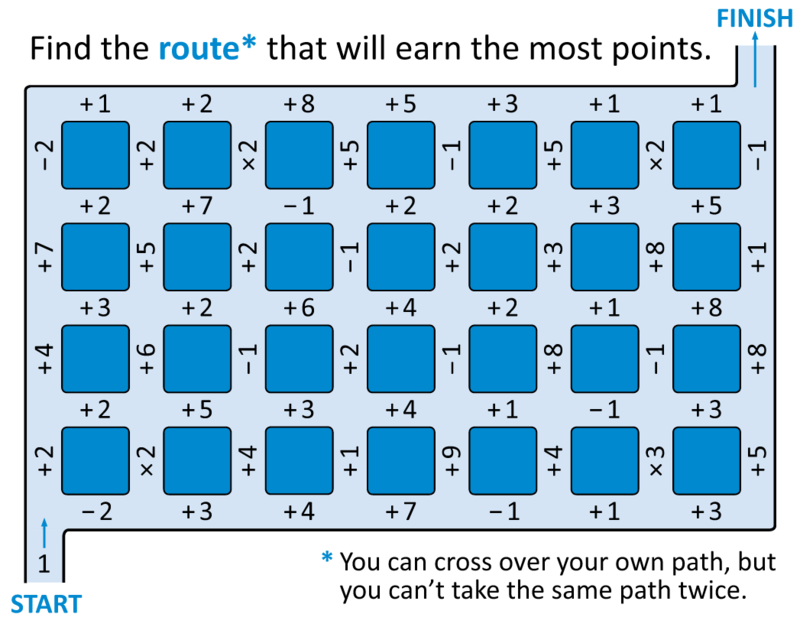 This entry was posted in NCTM on April 18, 2015 by dkane47. Here on Jo Boaler’s talk, and here on Dan Meyer. I’ve been thinking a lot about “death knells” recently, things that basically signal there’s virtually no going back. Remediation is a “death knell” for many students. Very few students who are labeled as needing remediation ever get caught up with their peers, fewer still ever exceed their peers. Some of that may be the remedial label itself, much of that is the methods in which these remediation classes are taught. I’ve heard enough “but these kids lack the basic skills to do complex math” to last a lifetime. First off, if you ever said “these kids” around Kelly Camak, you would probably never be heard from again. Second, the experience of doing challenging, fun, creative math is exactly what “these kids” need. Jo Boaler shared a video of “these kids” in one of her Summer sessions. The students in the video persisted on a pattern problem for, according to her, 70 minutes. We saw about 5-7 minutes of three students working on a pattern, doing complex algebra, sharing ideas, and being 100% fully engaged in math. An individual problem packet would have not fostered that level of mathematical engagement. Love this. The solution to kids being behind is not more practice, it is the desperate need for those students to make sense of math and believe in their own efficacy as problem solvers. Lacking prerequisite skills does not mean students can’t access big ideas, but it does mean that we need to pay particular attention to the conceptual knowledge these students have to make sure that they are wrestling with key ideas. The solution is not more practice of basic skills. There is no math gene; that student can learn math if we give them the appropriate supports. I focused mostly on what Dan had to say about feedback — making it visual and embedded in practice, and giving students opportunities to apply it right away at a low cost. Geoff focused on a different aspect of the talk: point number 2 (the real world is overrated) and the audience’s response to it. I was absolutely one of the audience members applauding Dan’s point; the high level of engagement I see in “fake world” tasks like covering a filing cabinet in post-its, or which diagram is closest to three-fifths. These questions are perplexing and provoke valuable mathematics, but they are not problems that real humans in the real world need to solve. While I stand by the value of these tasks (and I’m sure Geoff does as well), he makes the valid point that it’s a bit troubling to watch hundreds of math educators cheer the value of tasks that don’t come from the real world. The real world does engage students, and it gives value to the field of mathematics education, in a way that teaching problem solving and quantitative reasoning in general cannot. While I don’t know if this will affect my day-to-day practice, I do want to heed Geoff’s advice to think twice about abandoning the real world as I plan mathematical experiences for my students. This entry was posted in NCTM on April 25, 2014 by dkane47. I’ve been intrigued by number talks since I took Jo Boaler’s course over the summer. Kristi Cohen and Sheila Yates did a great job breaking them down and giving concrete examples of both high-quality questions and facilitation techniques to get students talking about math. My big takeaway from the session was the power in being explicit about the goal of a number talk. Kristi and Sheila broke down number talks into questions that push students to compute precisely (36 * 15, 3/4 + 3/4), vs questions that push students to estimate and simplify (6,472 / 0.98, 31% of 692), vs questions that ask students if an answer makes sense (2% of 572 = 101, 7,914 / 8 = 65). I really like this principle — as I have considered incorporating number talks into my classroom, I realized more and more that my goals were probably overly ambitious for a quick daily warm-up. Being explicit with students about the goal of a number talk could make a big difference in making sure all students can have a high-quality learning experience. I would add to the types of questions Kristi and Sheila brought up working with patterns — Fawn Nguyen has some incredible resources here and here on this topic. Still need to figure out exactly how I want to incorporate this into my class. This entry was posted in NCTM on April 12, 2014 by dkane47. NCTM – Are Students Using Technology or Is Technology Using Them? 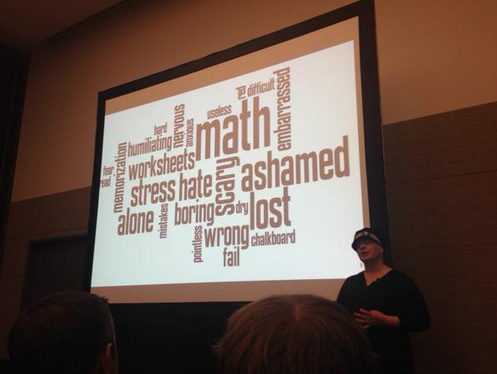 I was only in Avery’s presentation for 20 minutes as I was running down the hall for a session on number talks, but in the time I was there he brought up a touchstone I want to come back to whenever I use technology in the classroom – is the cognitive load of the students on the technology or on the math? Technology that acts as a window to rich context, intuition and engagement is great. Technology that distracts from the mathematics–even if the mathematics presented is high-leverage–is taking away from students’ experiences. I definitely want to keep that with me as I think about bringing more tech into my classroom. This was awesome. The crowd was raucous but Dan kept us in line, the drinks were cheap, and we learned more obscure math facts than I could have expected. Salamanders can meet K.CC.6, goats cannot comprehend sines and cosines, Salman had a rough time at the dentist, what is another way to say treading on the Red October. Oh, and because this was sponsored by Mathalicious, we found out which teams could name the most Mathalicious lessons.